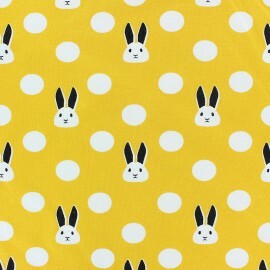 A really nice Rabbit patterned jersey cotton fabric with pretty white dots and rabbits on an intense yellow background. 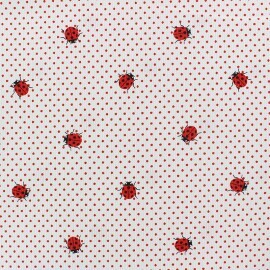 This Oeko-Tex certified, comfortable jersey cotton fabric, can inspire you to create some clothes for little boys and girls. 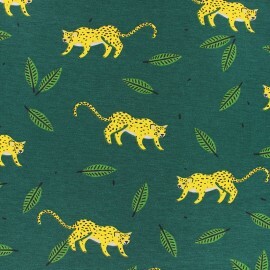 Adorable white Hide and seek in the jungle cotton jersey fabric with large patterns of leopards in the jungle on a green background, light and resistant. Make some t-shirts for the whole family and also pretty dresses or leggings! 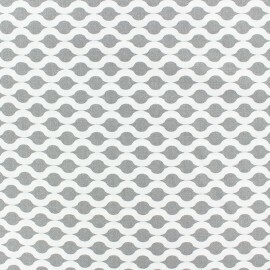 Moreover, it is an Oeko-tex certified fabric ! 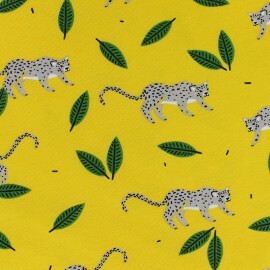 Adorable white Hide and seek in the jungle cotton jersey fabric with large patterns of leopards in the jungle on a v background, light and resistant. Make some t-shirts for the whole family and also pretty dresses or leggings! 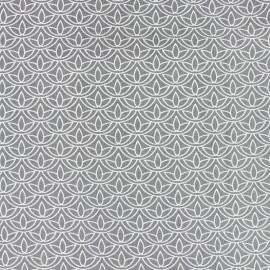 Moreover, it is an Oeko-tex certified fabric ! 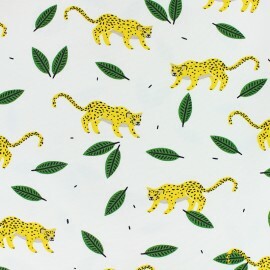 Adorable white Hide and seek in the jungle cotton jersey fabric with large patterns of leopards in the jungle on a white background, light and resistant. Make some t-shirts for the whole family and also pretty dresses or leggings! 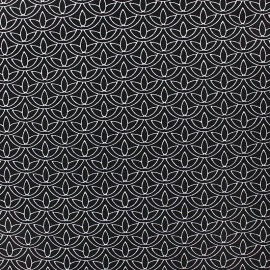 Moreover, it is an Oeko-tex certified fabric ! 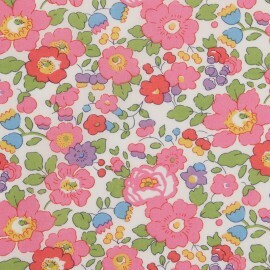 Pretty Vanilla crepe muslin fabric, a timeless basic for feminine and elegant dressmaking. 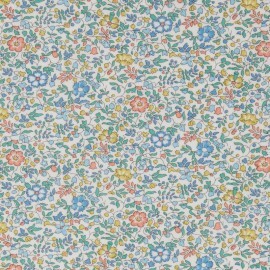 This muslin is light, fluid and vaporous, ideal to make shirts, blouses, dresses, underwears ... 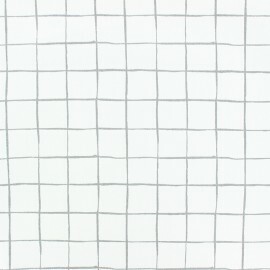 This muslin fabric is clear, remember to add a lining fabric for more opacity! 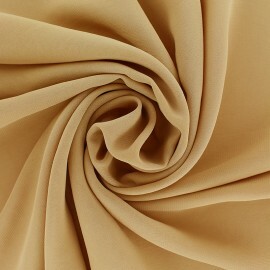 Pretty tobacco brown crepe muslin fabric, a timeless basic for feminine and elegant dressmaking. 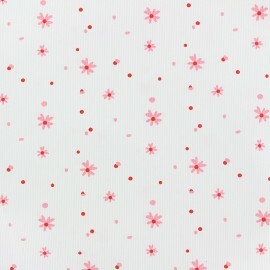 This muslin is light, fluid and vaporous, ideal to make shirts, blouses, dresses, underwears ... This muslin fabric is clear, remember to add a lining fabric for more opacity! 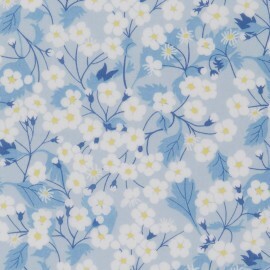 Pretty Southern Seas blue crepe muslin fabric, a timeless basic for feminine and elegant dressmaking. 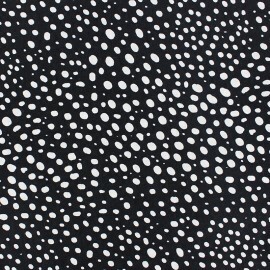 This muslin is light, fluid and vaporous, ideal to make shirts, blouses, dresses, underwears ... This muslin fabric is clear, remember to add a lining fabric for more opacity! 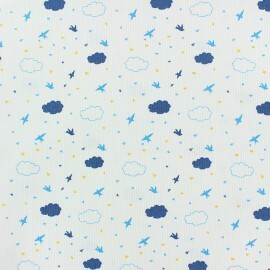 Pretty duck blue crepe muslin fabric, a timeless basic for feminine and elegant dressmaking. 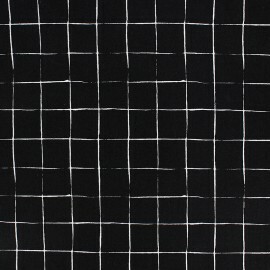 This muslin is light, fluid and vaporous, ideal to make shirts, blouses, dresses, underwears ... This muslin fabric is clear, remember to add a lining fabric for more opacity! 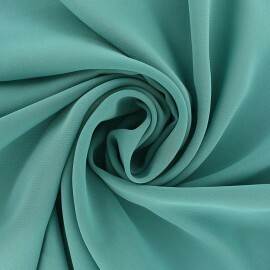 Pretty sea green crepe muslin fabric, a timeless basic for feminine and elegant dressmaking. 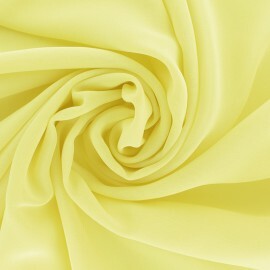 This muslin is light, fluid and vaporous, ideal to make shirts, blouses, dresses, underwears ... This muslin fabric is clear, remember to add a lining fabric for more opacity! 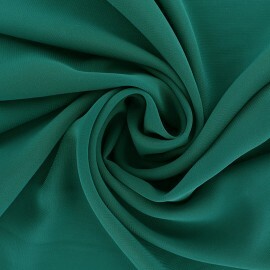 Pretty Emerald green crepe muslin fabric, a timeless basic for feminine and elegant dressmaking. 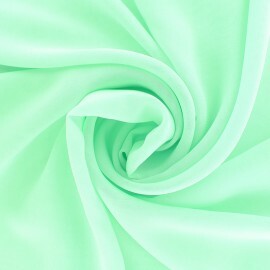 This muslin is light, fluid and vaporous, ideal to make shirts, blouses, dresses, underwears ... 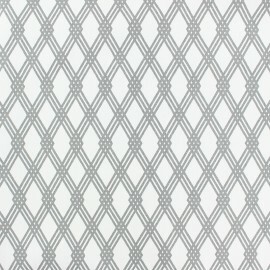 This muslin fabric is clear, remember to add a lining fabric for more opacity! 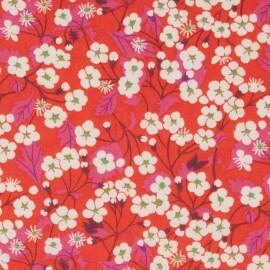 Pretty Linden green crepe muslin fabric, a timeless basic for feminine and elegant dressmaking. 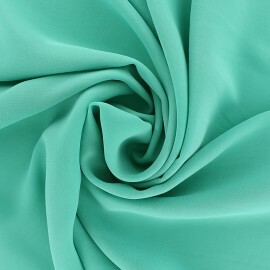 This muslin is light, fluid and vaporous, ideal to make shirts, blouses, dresses, underwears ... 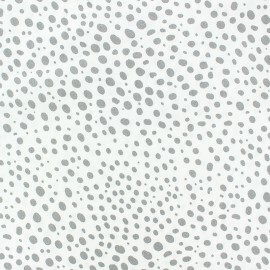 This muslin fabric is clear, remember to add a lining fabric for more opacity! 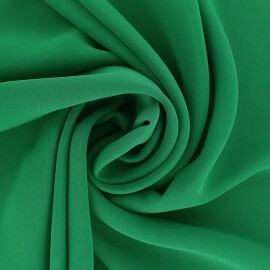 Pretty pine green crepe muslin fabric, a timeless basic for feminine and elegant dressmaking. 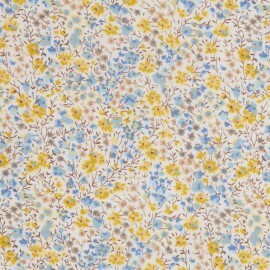 This muslin is light, fluid and vaporous, ideal to make shirts, blouses, dresses, underwears ... This muslin fabric is clear, remember to add a lining fabric for more opacity! 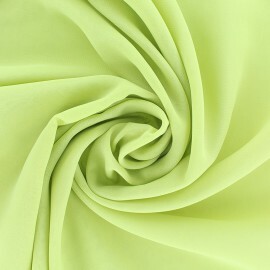 Pretty lime green crepe muslin fabric, a timeless basic for feminine and elegant dressmaking. 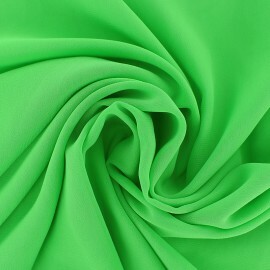 This muslin is light, fluid and vaporous, ideal to make shirts, blouses, dresses, underwears ... This muslin fabric is clear, remember to add a lining fabric for more opacity! 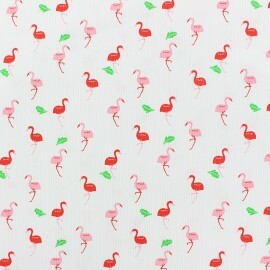 Are you looking for inexpensive fabric by the yard, by the meter or less? 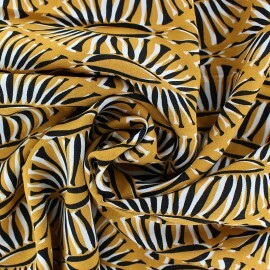 In short, would you like to find the best place to shop for apparel fabric and fashion fabrics? You have come to the right place! Here, at Ma Petite Mercerie, we offer a broad range of drapery for every event that comes up to you, your family and friends. Indeed, with thousands of flagship products, be sure to find the fabric that suits your needs and desires. 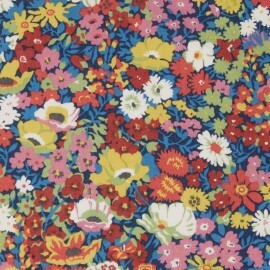 Either you love a classic and timeless style, or an original and trendy vibe, you will love our large designs and bright colours fabric collection. 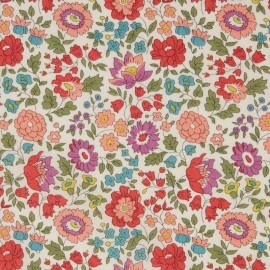 In fact, your online fabric store will become the best place to shop for perfect clothes, from your sofa! Do you wish to create your homemade wardrobe with original fabrics? Ma Petite Mercerie is the gold mine for those who want to find the rare gem! 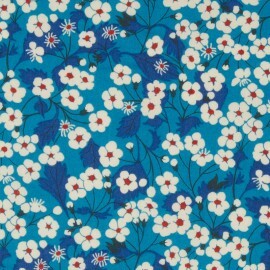 Browse our online range of clothing fabric. 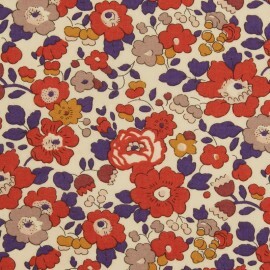 Choose hand-picked cotton print fabric, silk fabric, or wool fabric. 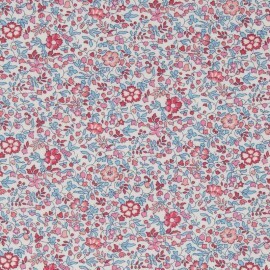 Are you looking for Vlieseline interlining fabrics for dressmaking, embroideries, bag making, or tailoring? 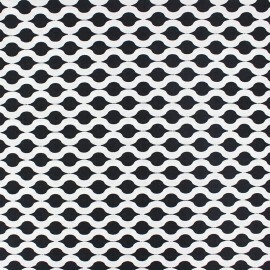 We stock Vilene entire interfacing collection for all artistic projects! 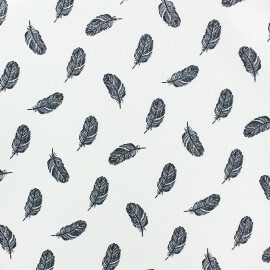 Moreover, we do also stock draperies ideal for fashion projects, including faux fur, chiffon drapery, leather, linen, velvet, and more. Plus, we bring together a variety of materials, from jersey to softshell, and muslin drapery, for you to play with volumes and textures. In addition, you can purchase the exact amount you need for all of our textiles. Purchase your drapery item by 10cm in order to buy precise quantities such as 1m80 or 6m40. For Patchwork enthusiasts, purchasing by 10cm will be perfect to create delicate blankets and avoid wastage. Also, all of our products are available online. If there is a particular drapery you are looking for and can’t spot, please email us and we will try our best to find what you are looking for. 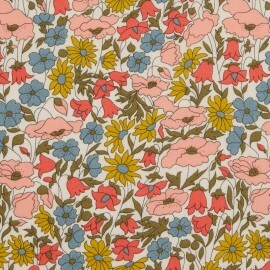 Find the best clothing fabrics at discount prices in our clearance section. 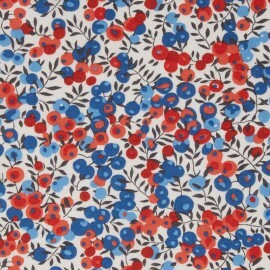 Choose our clearance fabric and discover, as well, our fashion fabric selection. Fabric lover, do you owe a homemade fabric chair but never tried to sew apparel? Time has come for you to stitch! Have a look at our sewing patterns and feel inspired to create a plethora of clothes. Options are wide! 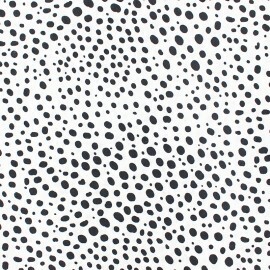 Select a bold abstract design and create your own tote bag. Plus, our dressmaking drapery comes in different weights and styles, so that you can produce rich garments. 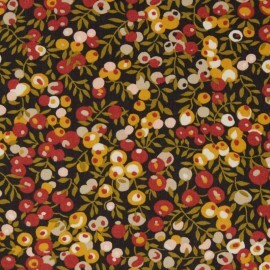 Select unique dress fabrics and create your own dream dress, along with twill fabric. Create for your kids! 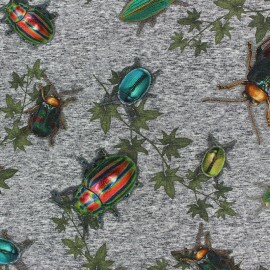 Stitch cute harem pants, tee shirt or shorts by using our jersey fabrics. Are you attending a baptism? Make your homemade soft animal with our quilted fabric. In need of a party outfit? 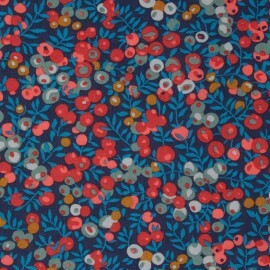 Fell in love with our sequins dressmaking fabrics and sew your made to measure party dress. 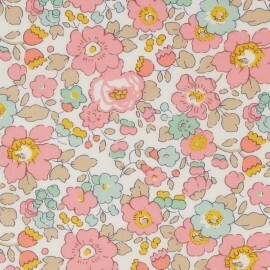 We do also offer high fashion and timeless textiles. 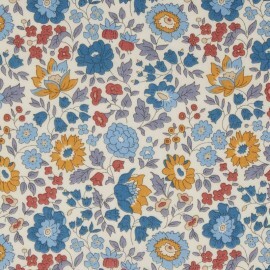 Fell for our linen or Burlington fabric by the yard. 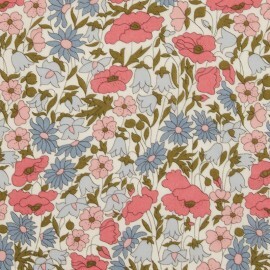 Furthermore, clothing drapery can be used as a lining fabric for your handmade clothes! 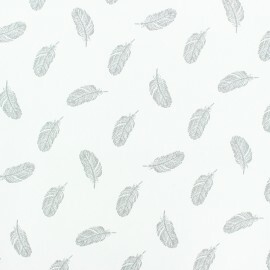 Finally, your online fabric shop responds to your eco-friendly needs with a range of organic fabric and oeko-tex certified fabric. If you need any help selecting your apparel fabric, do not hesitate to contact us through the contact form. Buy drapery online and share your creations through our social networks.